Labels on single cores, cables, and control cabinets need to remain legible for years to come. This is the best way to keep things well organized and avoid potential problems. 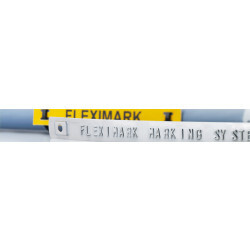 From plastic to durable stainless steel, manual or electronic identification, with FLEXIMARK� you can be sure that your labels will last a lifetime.